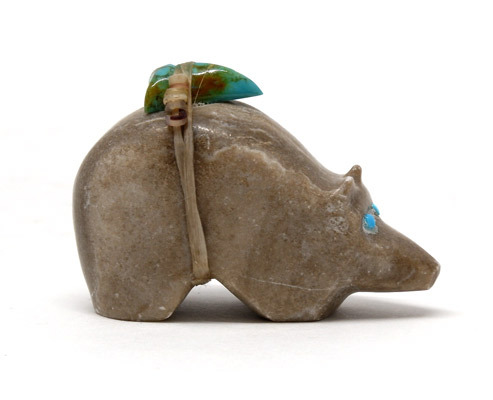 Zuni artist Tony Eriacho has carved this bear from alabaster, inlaid its eyes with turquoise, and placed a bundle of turquoise and shell beads upon its back. 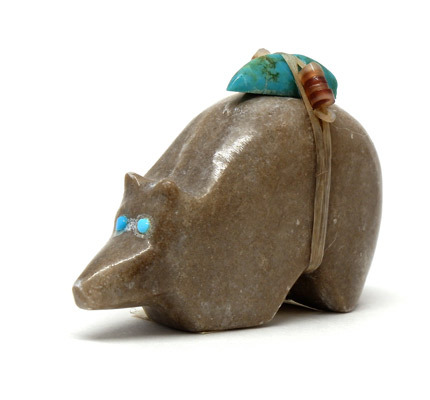 The bear is known for strength and/or healing abilities and is carved in a great variety of styles and materials. While the white bear is particularly known for its healing and curative abilities and the hump-backed bear is often referred to as a 'medicine bear', all bears are known for healing and strength. 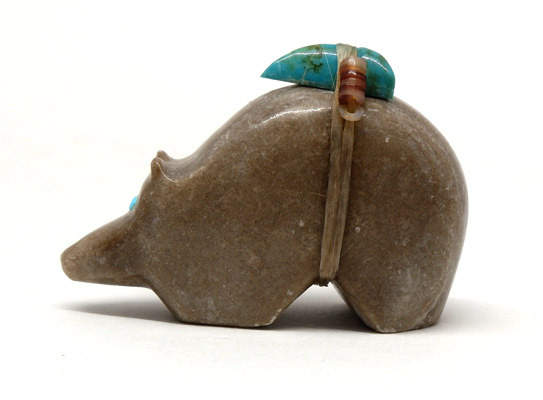 Fetish carvings, which are small stone representations of animals, are one of the most popular and easily collected forms of American Indian art. Fetishes have long been an integral feature of the traditional religious practices of Pueblo groups. 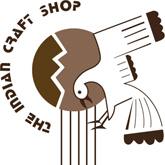 Over the last sixty years the creation of fetishes has developed into an art form by many artisans, predominantly at the Zuni Pueblo. The depictions of animals range from very abstract representational forms to highly detailed lifelike sculptural works, ranging in size from miniatures that sit on the tip of a finger to pieces too large to fit in the hand. 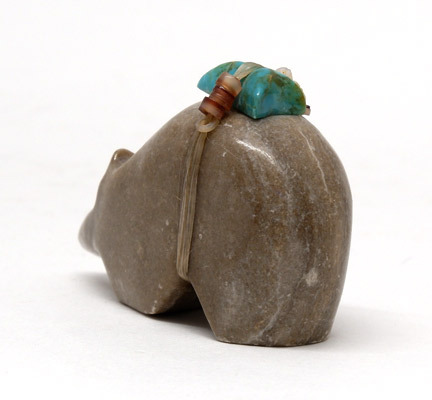 A wide variety of materials are used including varieties of jasper, marble and serpentine, as well as turquoise, malachite, fluorite, alabaster and pipestone. Carvers also utilize materials other than stone including shell, coral, jet, ironwood, cottonwood, cedar, antler, bone, fossil ivory, and even glass! The array of animals is equally diverse. The traditional forms of the six directions which are: wolf (east), bear (west), mountain lion (north), badger (south), mole (underground), and eagle (sky), are most often represented. 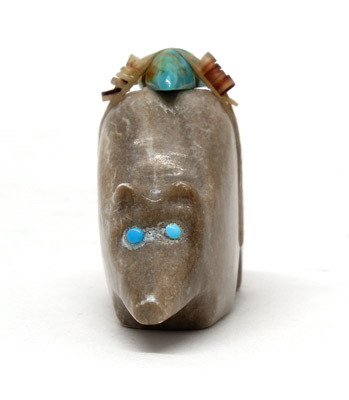 In addition to these commonly carved animals, artists are creating just about to include turtles, frogs, fish, horses, elephants, dinosaurs, buffalo, skunks, weasels, and just about everything else imaginable. Height 1.25", Length 1.75", Width 6/8"